The Obama administration has proposed new offshore drilling regulations nearly five years to the day after an explosion on the Deepwater Horizon drilling rig led to one of the worst environmental disasters in recent memory. A plan unveiled by the White House on Monday this week would require companies involved in offshore drilling to implement new standards, especially with regards to blowout preventers that are considered by experts to be the last line of defense during spontaneous oil and gas surges. “We’ve taken great strides since then to strengthen, update and modernize energy regulations to ensure that offshore oil and gas development is done safely and responsibly,” Interior Secretary Sally Jewell said on Monday, according to The Hill. “Through this proposed rule, we’re requiring more stringent design requirements and stricter operational procedures for critical equipment used in offshore energy development,” Jewel said. Next Monday, April 20, will mark half a decade since a blowout on the sea floor off the Louisiana coast led to 11 deaths and a nearly three-month-long oil spill that sent upwards of 172 millions of gallons of oil into the gulf. 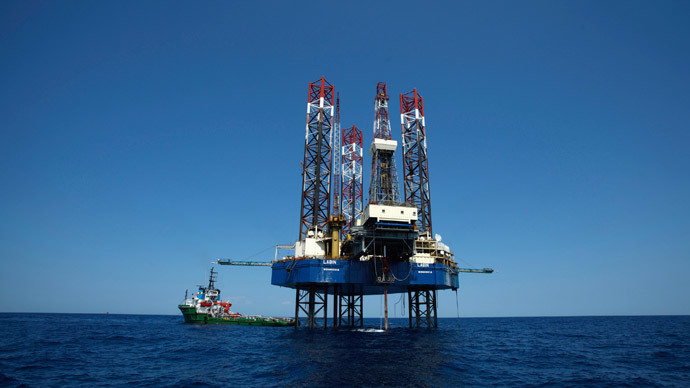 According to the Associated Press, the proposal calls for underwater wells to each be equipped with two shear rams, a type of blowout preventer, in order to ensure a better seal. Codifying the rule would standardize what is more or less already an industry standard, AP reported, but the proposal would also establish a program that would see to it that maintenance and repair records are reviewed annually by federal inspectors. Jack Gerard, the head of the American Petroleum Institute, said in a statement on Monday that the oil industry welcomes any efforts from the Obama administration that might curb any future accidents. “Anything that gets us closer to that achievement we welcome with open arms and we look forward to working with regulators on,” Gerard told the Houston Chronicle. William K. Reilly, a co-chairman of the presidential panel that investigated the Deepwater Horizon disaster, said that the blowout preventer is a “last-ditch” measure to avoid catastrophe, and had been activated too late during the Gulf spill. “The new regulation is important,” he told Alaska Dispatch News. Even if industry players and politicians both agree on the regulations, though, it might be a long while before they are fully realized. Jewel, who is the secretary of the US Department of the Interior, acknowledged that the proposal codifies many best practices, albeit at a cost of an industry-wide price tag of about $883 million over the next decade.